Ottogi America is recalling 21 items because they may contain undeclared egg, one of the major food allergens, that is not labeled on the package. Anyone who has an allergy to eggs could have a serious reaction if they eat these products. No reactions have been reported to date. Some of these items may contain egg, based on a test result conducted by the Canadian Food Inspection Agency and have been recalled in Canada. They were sold nationwide in the U.S. in retail stores. 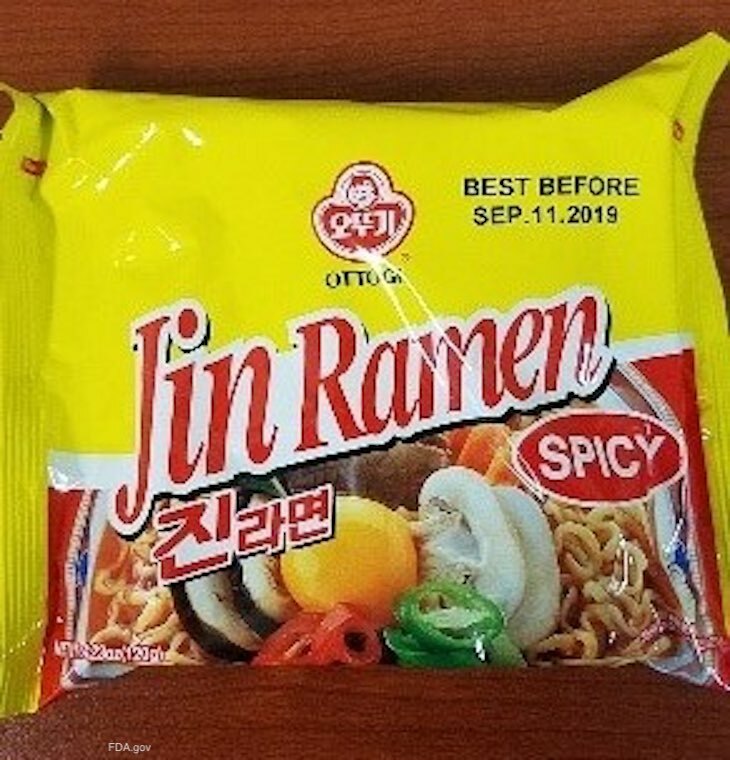 The recalled items include Jin Ramen Spicy with Item number 21501202, Jin Ramen Spicy (5 Pack) with Item number 32142402, Ramen Noodle Sari with Item number 21101009, Yeul Ramen (Bowl) with Item number 21305007, Jin Ramen Mild (Bowl) with Item number 21309025, and Jin Ramen Mild with Item number 21501201. Also recalled is Snack Ramen with Item number 21501281, Jin Ramen Spicy (Bowl) with Item number 21502155, Jjajang Bokki (Bowl) with Item number 21502157, Snack Ramen (6 cup) with Item number 21502161, Spicy Seafood Flavor Udon ‘Odongtong’ (Bowl) with Item number 21502162, Ppushu Ppushu Bulgogi Flavor with Item number 21503005, and Ppushu Ppushu Grilled Chicken Flavor with Item number 21503006. Finally, Ppushu Ppushu BBQ Flavor, with Item number 21503007 is recalled, along with Ppushu Ppushu Spicy Flavor with Item number 21503008, Jin Ramen Mild (5 pack) with Item number 32142401, Beijing Jjajang Noodle with Item number 32142407, Beijing Spicy Seafood Noodle with Item number 32142408, Spicy Seafood Flavor Udon Odongtong with Item number 32142410, Ramen Bokki (Bowl) with Item number 21309009, and Buckwheatchilli Noodle with Item number 32143061. You can see the package sizes and the best before dates at the FDA web site. If you bought any of these items and are allergic to egg, don’t eat them. Throw them away or return them to the place of purchase for a refund.